Did you know that April is National car care month? It’s the time of year set aside to remind drivers how important it is to take care of your vehicle properly. If you’ve been ignoring your vehicle a little lately or just haven’t had the time to have it serviced regularly, now is a great time to do so. Plan to have it checked out to look for potential problems that could turn into major issues later, if not taken care of promptly. The point of dedicating a whole month to taking care of your car is to remind people just how important it is to have your vehicle serviced. It offers many benefits that will save you money and keep you safer when on the road. Between working and taking care of all your responsibilities, it’s easy to ignore your vehicle when everything seems to be working fine. However, being proactive when it comes to servicing your vehicle will help maintain its resale value. It can also save you money in costly repairs on down the road. This is a great time to pay extra attention to your vehicle and check everything to make sure your Toyota is in tip-top shape. Not only is it protecting your vehicle but it will also greatly reduce the odds of you being stranded on the side of the road somewhere. The peace of mind you’ll have knowing that everything is working the way it should is well worth the time and effort it takes to have your car, truck or SUV serviced. Buying a vehicle is a big investment and having your new or used Toyota serviced regularly is part of protecting that investment. It’s an important part of owning a vehicle and something that every driver should take seriously. Don’t let any more time slip by without having your vehicle inspected to make sure it’s in good shape. 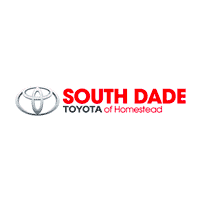 You can even check some of the items listed above yourself to get an idea of what condition your vehicle is in or you can schedule a service appointment with us here at South Dade Toyota. Our trained technicians will inspect your vehicle, go over any problems found with you, make recommendations and upon approval, repair any problems found. April is a great time to focus on your vehicle and take steps to make sure it’s in the best shape possible. When you take good care of your Toyota, it will serve you better. Not only does it reduce your chances of being stranded, it also makes it safer to drive and that’s something everyone can benefit from.